Does Florida hold the key to a retirement that provides the best of both worlds? Gordon says yes! The retirement dream of days of yore has somewhat lost its muster in recent years. Perpetual talk of the devaluation of pension pots, ever-increasing working age limits and much-talked about annuity changes are continually moving the goalposts for those on the brink of retirement. Yet one question remains the same: how do you make the most of your retirement? Recently revealed by retirement specialist LV that British retirees need approximately £225,756 in their pension pot to enjoy a typical 17 year retirement to the full, it is no surprise that more and more people are looking outside the box for a solution. Gordon Turner from Barrow-in-Furness, Cumbriathinks he might just have the answer to this age-old question. Reaching retirement in March 2017, Gordon already has a plan mapped out to make the very best of this next phase of his life. Having purchased three properties at The Fountains at ChampionsGate in the top tourist destination of Florida through property investment company Brookes & Co, he plans to live in there for 6 months of the year once he retires (on a tourist visa) and to use the properties for rental outside of his own personal usage too. And Gordon’s purchases make good financial sense in another respect too. Zillow, the largest property website in the US, recently released data that showed an increase of 14.8% in the value of homes in Orlando in 2014, compared to the previous year, with a projected rise of 7.2% predicted for the Orlando Metro area in the coming 12 months. “The benefits to health and a more laid back lifestyle are immense. Just picture listening to the palm trees swaying in the wind and wearing a shirt, shorts and flip flops as you read the morning paper in the garden instead of hearing the rain and wind belting down on your windows before you put on your heavy coat, scarf, gloves and brolly to face the British elements! And Gordon is not alone in looking to US shores for a happy retirement. Specialist annuity provider MGM Advantage recently revealed that the USA was the third most popular country for UK retirees (behind European destinations of Spain and France), with 16% of those surveyed having a preference for a move to the US when they reach their ‘golden years’. The family man who currently works as an Engineering Product Safety Manager in the UK did not, however, merely purchase the properties for investment and retirement purposes, although the properties are still in the development stage, he is also looking to utilise the finished homes prior to retirement for holidays with his extensive family. And with two children and four grandchildren of his own and his partner having six children, it suddenly becomes clear why he needed three properties! Purchasing one three-bed and two four-bed villas, Gordon’s family are big fans of Florida already and have visited a staggering 35 times over the past 24 years, making the very most of all that the state has to offer. From beautiful year-round weather, the enduring entertainment options available at the resort parks of Disney World and Universal Studios and the beautiful beaches, it is clear to see why Florida – and Orlando specifically – has become an increasingly popular holiday choice, with an increase of 2% in tourist numbers in the first quarter of 2014, compared to the same period in 2013. “Florida has long-since been a hugely popular destination for holidays – I have visited with my family more times than I can remember – as well as for the purchase of holiday homes. It is because of this that it also makes an excellent investment choice, with prices on the increase and a growing property market. Florida is unquestionably one of the world’s most popular holiday destinations, with tourists flocking to its shores for a signature blend of theme parks, championship golf courses, water parks and beaches. And now it is not only this wealth of attributes that are encouraging Northern Ireland holidaymakers to visit the Sunshine State, increased accessibility is today high on the list too. And with the seemingly hot tourism market in Florida at the moment, these new routes certainly seem to be on track for recording a great success. Recent figures have shown that Florida’s unending popularity is actually on the increase, with last year a record year for the state’s tourism: Visit Florida reported an increase of 3.5% in tourist numbers in 2013 compared with 2012, bringing the total to 94.7 million visitors. The aim for 2014 is to hit the magical 100 million tourists figure, through the increased access and a whole host of exciting new attractions. Walt Disney World last month opened its newest attraction, the ‘Seven Dwarfs Mine Train’ in Fantasyland at the Magic Kingdom, a ride that will feature animated figures and music from the popular Disney film in a family-roller coaster, and also has big plans in the pipeline for ‘Pandora: The Land of Avatar’, set to open in 2017 amid much furore. Universal Orlando Resort has followed suit this month with an expansion of the exceptionally popular ‘Wizarding World of Harry Potter’ from its current home at Islands of Adventure to its sister park of Universal Studios Florida, next door. The second site allows visitors to experience a virtual journey on the Hogwarts Express and an ‘Escape from Gringotts’ ride through darkened bank vaults. The new attraction also offers the chance to visit Diagon Alley and its popular shops that include the iconic Ollivanders Wand Shop, Weasleys’ Wizard Wheezes and Borgin & Burkes, selling objects of dark magic. There is even be the opportunity to sup on a butter beer or two at the famous Leaky Cauldron! 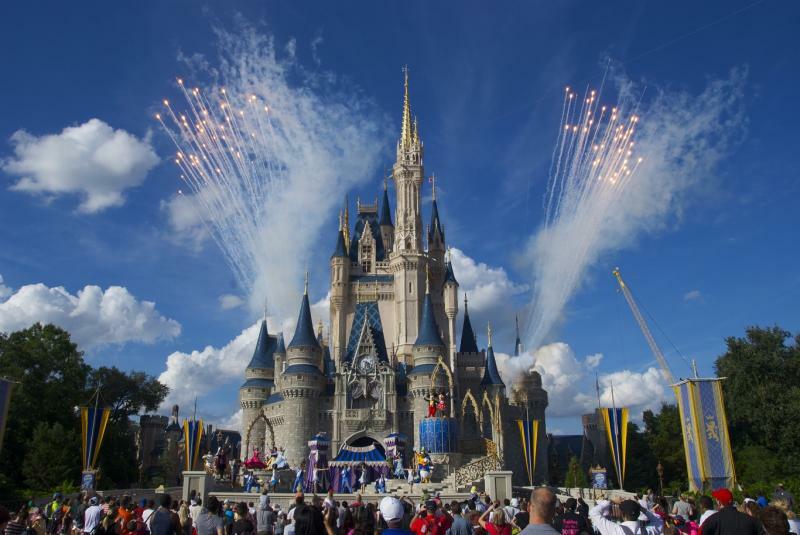 Sure to be met with overwhelming popularity, the new theme park attractions are set to contribute, not only to Florida’s increasing tourist figures, but also, in turn, to the US’ financial recovery in more general terms. And this is something that is looking increasingly healthy. 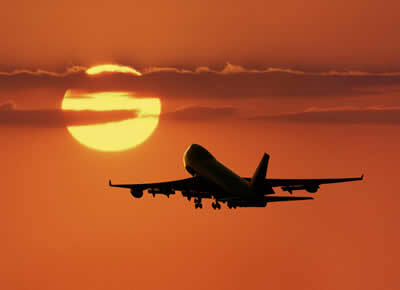 The Timetric ‘Travel and Tourism in the US to 2017’ report forecasts that real GDP in the country is to rise from 2.1% growth in 2013 to 3.0% in 2014 and thereafter by an average of 2.8% annually from 2015 to 2017. Florida’s increasing popularity is not only excellent news for flight operators and the country’s coffers, it is also ideal for investors in the state’s property sector. Both holiday accommodation and long-term rental accommodation are much in demand. As well as boasting impressive overnight visitor numbers, Florida is also the fourth most populous state in the US (after California, Texas and New York) according to data from the World Atlas. As with any foreign property investment, knowing what, where and when to buy is essential. Brookes & Co’s knack for obtaining this knowledge and turning it into income for its clients has garnered the company an excellent reputation for its Florida opportunities. The latest – a boutique offering of just 17 exclusive, fully tenanted condos, available from as little as $69,500 – comes at the optimum time for UK investors looking to put their money to work in property. Managed and maintained, with excellent long-term yields, the condos also benefit from the sterling’s current strength against the dollar, which is at a five year high. Portugal is attracting an increasing amount of attention from British investors looking to put their pounds into property. This is perhaps unsurprising given that the Deloitte Property Index Report has just revealed it to be one of the most affordable residential markets in Europe, joining Germany and Denmark as the top three top destinations. The latest RICS/Ci market report has provided yet more positive news for Portugal, indicating strong signs of stabilisation within the property sector for the first time in four years. The report shows that prices of new homes across Portugal are rising, while resale values are also up in some areas, such as the southernmost Algarve region. Blessed with 300 days of sunshine per year, the Algarve has long been one of Europe’s most popular holiday destinations – affordable accommodation, stunning beaches and delicious local cuisine combine to ensure that millions of passengers pass through the region’s Faro Airport during both the summer and shoulder seasons. The attractions of the Algarve are such that many towns see their populations quadruple during the summer months. Holiday accommodation is much in demand, particularly in areas such as Quinta de Lago and Vale do Lobo, close to some of the Algarve’s most challenging and visually appealing golf courses. Property in the Algarve region of Portugal is on average 32% cheaper than it is in the UK, according to listings website Meravista, which, combined with the benefits of the exchange rate, makes investing in Portuguese property an extremely tempting prospect, be it for personal usage as a holiday home or for investment purpose, or a combination of the two. 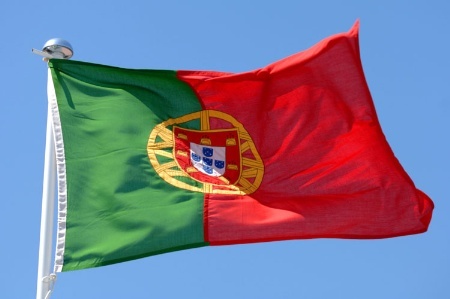 “With the property market stabilising in Portugal and prices currently marking it out as one of the cheapest markets in Europe, the time is ripe for investors looking to benefit from Portuguese residential property. This is where Brookes & Co springs into action. With low prices that are beginning to show steady increases, now is the time to look to Portugal as Europe’s top property investment hotspot. For more information, contact Brookes & Co on 01621 875 925 or info@brookesandco.co.uk, visit www.brookesandco.co.uk or meet the team online. With strains of ‘The Star-Spangled Banner’ infusing the air and the traditional fireworks lighting up the night skies, the Fourth of July may be a national holiday for people in the United States to pause and reflect upon their independence, but one arena where there has certainly been no pausing in recent months is in the country’s real estate industry. In their ‘Housing Market Forecast’, the National Association of Realtors (NAR) revealed that sales of existing homes were up, marking a real rise of 4.9% in May 2014 in the number of homes sold when compared to April. Alongside this there was also an increase of 6% in the number of pending homes sold in the same period. This positive growth is a big step forward for a market that triggered the property crash that spread its effect globally from 2008, forcing people to drastically tighten their belts and the market to shrink dramatically. Yet with sparks being shown in property sales figures for recent months, upcoming forecasts are also looking healthy, marking important upward movement. The NAR are forecasting Median Price Growth of between 5-6% for 2014, with an increase of 3-5% for 2015, steady figures that prove growing confidence in the market, at more manageable levels than the booming figures of the 11.5% growth recorded in 2013, fuelled by a lack of housing stock. Although RealtyTrac have shown in their ‘May 2014 Residential & Foreclosure Sales Report’ that it is the sale of higher end properties that are currently registering the highest percentage change in terms of their share of total property sales, year-on-year, at the other end of the market there is a different kind of potential. Since the market crash of six years ago, one arena which has witnessed great potential for investors is the sale of foreclosures, or distressed assets. Asking prices for these properties, sometimes in a state of neglect and in need of much work, is far below that of standard properties – RealtyTrac recently revealed that the average price of a US foreclosed property was 37% lower than a standard property, at $120,000 compared to $190,000. These properties make up just over 14% of the US housing stock (as of May 2014) and offer an excellent opportunity for those looking to make a profit. 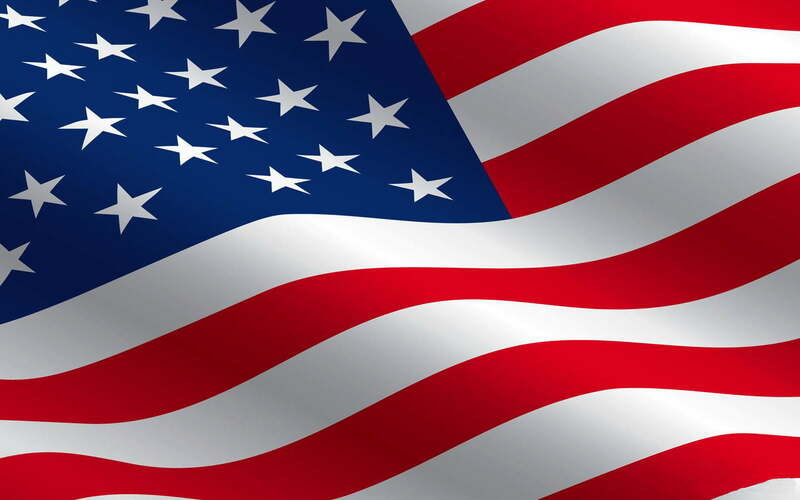 Today it is not just Independence Day that the US should be celebrating; it is the positive signs of growth in the property industry and the potential being offered to overseas investors that should be helping the American flag to fly proudly at full mast. When it comes to summer holidays, it seems that family-friendly fun in the sun is at the top of the list of requirements for UK holidaymakers. A recently published survey from HomeAway.co.uk in association with UKMums.tv found that 76% of parents believe holidays are an important time for children. With such emphasis on the younger family members’ needs, summer holidays are often planned to suit their whims and wishes. In fact, the survey goes on to reveal that 65% of holiday trips and activities are decided upon by children, along with 50% of meals and 60% of decisions as to whether to head for the beach or stay by the pool. With the children so firmly in charge, it is perhaps unsurprising that Florida – and in particular Orlando – is such a perennially popular choice of summer holiday destination. The family-friendly nature of theme parks and water parks can keep youngsters of all ages thoroughly entertained, from tiny tots to awkward teenagers. Only 6% of those surveyed were not prepared to sacrifice any aspect of their holiday plans for their children. The findings are backed by data from the latest TripAdvisor family travel survey, which found that family holidays have increased in popularity this year. While in 2013 only 85% of respondents planned to travel with family, the figure rose to 92% for 2014. While 55% planned to travel with their spouse and children, a significant number (20%) intended to travel with extended family – and again, the climate and myriad attractions of Florida can be understood in terms of their appeal for such groups. Indeed, of the TripAdvisor top ten Travelers’ Choice Hotels for Families in the US, the Orlando/Kissimmee area claimed two of the top three spots. The popularity of The Fountains with Brookes & Co’s UK clients has shown the resort’s family appeal. The majority of buyers have been family groups, with two or three generations of family attracted to the lifestyle element of the investment, as well as the healthy financial returns. Of course, family holidays aren’t always perfect. 85% of the TripAdvisor survey respondents admitted to wanting to escape from their family at some point during their trip. Thankfully The Fountains has access to 36 holes of Greg Norman-designed championship-level golf course on its doorstep, offering the perfect solution for when the family holiday involves just a little too much time with the family! The face of international property investment is changing. While some more archaic companies might still be trying to meet with clients in hired hotel rooms and convincing them to invest in countries they have never heard of, a new breed of global real estate experts are revolutionising the sector. Their focus is on ethical, secure investments that provide clients with a stable and balanced international property portfolio, containing investment properties in some of the world’s most well-established markets. “I’ve always been passionate about high quality, financially sound property investment. My background as a Certified Chartered Accountant means that I look at each investment from all angles, seeking the best returns for Brookes & Co’s clients by sourcing leading deals in well-known markets. The approach sees Brookes & Co holding regular events at its Maldon head office, with investors and potential investors welcome to drop in at any time. The emphasis at the events is on a relaxed and fun presentation of investment opportunities – the exact antithesis of the old, hard-sell approach. The most recent event, a Florida experience day that involved a virtual ‘flight’ to the Sunshine State, all-American breakfast and casino-style entertainment, was so over-subscribed that another one has been planned for Saturday 26th April. With their resounding emphasis on an ethical approach to investment, Brookes & Co also run regular inspection trips. The next Florida inspection trip is planned for 15-18 May and will see staff accompanying potential investors to The Fountains in order that they can meet with local property and financial experts, including the developer, Feltrim. The company’s enjoyable approach is reflected in the inspection trips as well as their local events – the last Florida trip included both a trip to Disney World and a helicopter flight over the development. Back on this side of the Atlantic, Brookes & Co is actively involved in the local community, following Managing Director Philip’s belief in giving something back. The company has just agreed a sponsorship deal for theSamStock 2014 charity music, comedy and arts festival in Maldon on 21 June. Brookes & Co will be the official headline sponsor of leading act Toploader and Philip has generously paid for his team to attend the event. This engaging approach is carried through into every aspect of the company’s property investment activities. For example, Brookes & Co only ever offers investment opportunities that the company has put its own money into. Philip’s belief is that if the company is not prepared to invest, why should the clients be? He also believes in providing a full, 360 degree service to every client, meaning that Brookes & Co has built up partnerships with a range of experts from developers to mortgage specialists, so that each client can receive a personalised package of advice and guidance. The company has further demonstrated its credentials by joining the Association of International Property Professionals (AIPP), thus signalling its commitment to the highest standards of professional conduct within the industry. Such is the new breed of property investment companies that are taking the sector by storm. Open, clear and personalised in their approach, they invite investors to get to know their team members, visit them in their office and explore their developments first-hand, all while giving something back to the local community. With such integrity and attention to detail in place it seems that so far as global property investment is concerned, the future’s bright – the future’s Brookes & Co.
For more information, contact Brookes & Co on 01621 875 925 or info@brookesandco.co.uk, visitwww.brookesandco.co.uk or meet the team online. Along with much of the rest of the world, the property market in the Caribbean has suffered since the global financial crash of 2006/07. According to the recently released Savills Prime Residential Retreats 2014 report, property across the Caribbean lost around 30% of its value in the years following the economic downturn. In some areas, such as the Bahamas, real estate prices dropped by as much as 40% between 2007 and 2010. “The Caribbean luxury property market – and in particular the Bahamian market – was undeniably affected by the economic downturn. However, now that prices have bottomed out, we are seeing a marked upsurge in interest, with clients taking advantage of being able to pick up five star properties at reduced prices, in anticipation of prices increasing once more in the months and years ahead. According to the Caribbean Tourism Organization’s Latest Statistics 2013 report, released in early 2014, the Bahamas attracted some 1,136,898 stop-over arrivals during 2013. 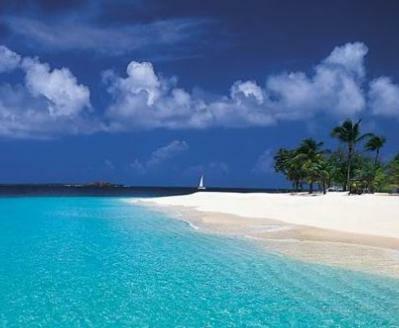 The figure positions the Bahamas as the fifth most popular destination in the Caribbean for the year. Many of those who visit the Bahamas fall instantly for the island chain’s charms, from its crystal-clear waters full of darting, brightly coloured fish, to rum cocktails sipped on powdery white sand beaches, to spicy and flavourful cuisine that makes the most of the islands’ varied natural food sources. Investors are also charmed by the Bahamas’ tax incentives, with many who purchase property there choosing to take advantage of the home owner’s residence scheme and the lack of taxes on income, sales, estates, inheritance and real estate capital gains. With so many attractions, it is unsurprising that the Bahamas is seen by those in the industry as one of the most exciting property investment markets available in 2014, with investors rushing to pick up bargain properties and be part of the islands’ revival. While some will be looking solely for the simplicity of sunshine and sea air on their summer break this year, many holidaymakers will be seeking out much more, looking to turn their dream vacation destination into the location of their second home. Statistics from the Overseas Guides Company (OCG) show the continuing popularity of second homes overseas with British buyers. Classic destinations such as France, Spain, Portugal and Italy, which offer both sunshine and proximity to the UK, are increasingly sought-after locations, with OCG data showing a 30% year on year rise in searches during the third quarter of 2013. Meanwhile, property investment specialistsBrookes & Co have reported a growing level of interest in properties further afield, including Florida and the Caribbean. The increasing number of enquiries has led Managing Director Philip Button to share his top five sizzling second home hotspots for this summer. Every one of the destinations below should be firmly on the radar of anyone wishing to invest in property overseas during 2014. Florida’s property market was hit hard by the global economic crisis, but is now surging back to life, while high end properties remain ahead of the curve in terms of return on investment. Orlando in particular, thanks to its theme parks, wonderful weather and pro-level golf courses, is one of the most exciting property markets available, having just been voted one of the top ten newly announced TripAdvisor Travelers’ Choice US Destinations 2014. The ultimate dream for many, the Caribbean presents another extremely exciting property market so far as overseas investment opportunities are concerned. Stunning beaches, world class resorts and some of the finest snorkelling, scuba diving and sailing combine to make the islands, cays and islets that make up the Caribbean one of the most popular holiday destinations. The Savills Prime Residential Retreats 2014 report observes that the Caribbean market has now stabilised following price drops of around 30% as a result of the global financial crisis. In some areas, such as the Bahamas, prices have reduced by as much as 40%, making these an excellent place for those looking to pick up an overseas property bargain. The extensive tourism industry means that the potential for rental income that results from the Bahamas’ popularity is vast. Brookes & Co clients can take advantage of this flourishing market through investment in the beautiful ocean front properties at the five star Royal Ocean Club resort, deposits for which are from just £98,500. Italy has suffered economically along with its fellow “PIGS” over recent years, yet the beauty and tranquillity of the Italian Lakes has continued to experience a high demand from tourists wishing to escape the stresses and strains of modern life. If it’s good enough for George Clooney…! Along with Italy, Portugal has shared in Europe’s pain, yet the luxury property market in some of the Algarve region’s most exclusive areas suffered comparatively little, with demand for high end villas remaining strong. The property market in the glamorous town of Vilamoura, with its excellent marina, fabulous beach and access to first-class golfing facilities, has largely ignored the rest of the county’s economic woes. It is one of Europe’s leading property hotspots and definitely one to watch throughout 2014 and beyond. Finally, back home in the UK, London and surrounding counties such as Essex are tipped as the best places to invest in property so far as Brookes & Co is concerned. Prices across the Essex have increased by 4% in the last year alone according to figures from Rightmove, while Savills are predicting rises of between 5% and 6% for London’s commuter belt counties during 2014. London has also just been confirmed as retaining its third place position in the annual TripAdvisor Travelers’ Choice World Destinations ranking. As ever, Brookes & Co will remain at the forefront of the property investment market during 2014 and beyond, bringing sound investment opportunities to its clients from the planet’s most exciting and financially secure property markets. Watch this space to find out where the next investment opportunity will be! The outlook is bright for the US housing market, according to the latest figures. The median sales price for homes across the nation increased 11.5% in 2013 compared with the previous year, to $197,100 according to the National Association of Realtors. The luxury end of the market has recovered particularly well. In fact, the Demand Institute’s ‘A Tale of 2000 Cities’ report has revealed that the value of stock at the top end of the market has risen by an impressive 73% since 2000. The report belies the belief that snapping up bargains at the bottom end of the market is the best way to profit from real estate: over the same period, the stock at the lower end of the market rose by a comparatively low 59%. The favourable exchange rate at the moment is making the US property market particularly attractive to British buyers, who effectively have an additional £6,500 per £100,000, compared to February 2013, thanks to the strength of the pound against the dollar. Of course the improving market means that prices of investment properties are increasing and The Fountains is no exception. Investment in the luxurious three and four bedroom villas now begins at £53,128 deposit, with full villas available from £212,512 and US mortgages available. Located in a secluded development scattered with oak and pine trees, along with a state of the art clubhouse and fitness centre, plus a resort-style pool, The Fountains offers peace and tranquillity at the same time as being just minutes from the buzzing attractions of Walt Disney World Resort and Orlando’s numerous other attractions. As has proven the case nationally, upscale properties such as these are showing strong returns in Florida, with Florida Realtors reporting a year-on-year jump of 24% in 2013 on the number of sales of properties at the top end of the market. With prices set to increase further over the course of 2014 and beyond, those keen to benefit from Florida’s real estate investment hotspot status will need to move fast. Thankfully, Brookes & Co organise regular inspection trips to the Sunshine State, so no potential investor need miss out on the fantastic opportunity that Florida currently affords. 19 March 2014 will see the Chancellor of the Exchequer proudly deliver his annual budget to Parliament. While the Government’s public consultation on what the UK’s citizens would like to see in the budget has been open for some weeks, most individuals will be asking what the budget will mean for them personally, rather than contributing their thoughts on how the Chancellor might be able to innovate in 2014. Economic circumstances over the past decade in the UK have been on something of a rollercoaster ride. The budget, which forms part of the UK’s vision of achieving strong and sustainable economic growth, marks a key point each year for every UK citizen when it comes to considering how best to handle their tax affairs, investment portfolio, savings and so forth. Always at the forefront of successful tax planning, specialist accountancy and property investment firm Brookes & Co will be holding a tax planning seminar on 26 March, to address the issues raised by Chancellor Osborne’s 2014 budget. Held at London’s prestigious Institute of Directors Pall Mall venue, hosted by Brookes & Co directors Philip Button and Ashley Foakes, the seminar will focus on the relationship between tax planning and real estate investment, both in the UK and overseas. “At Brookes & Co our background is as Chartered Certified Accountants, so we take the financial side of property investment very seriously. 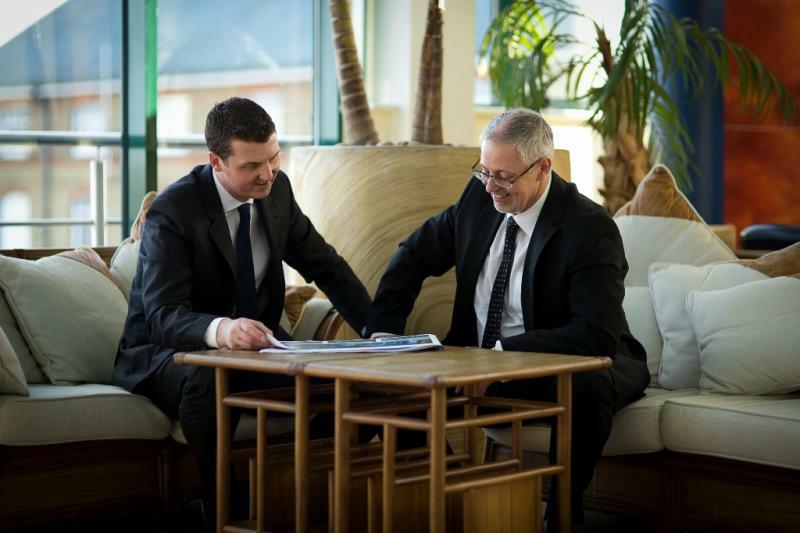 We’re able to provide our clients with a unique perspective on their investments, which takes into account all relevant taxation and other economic considerations. 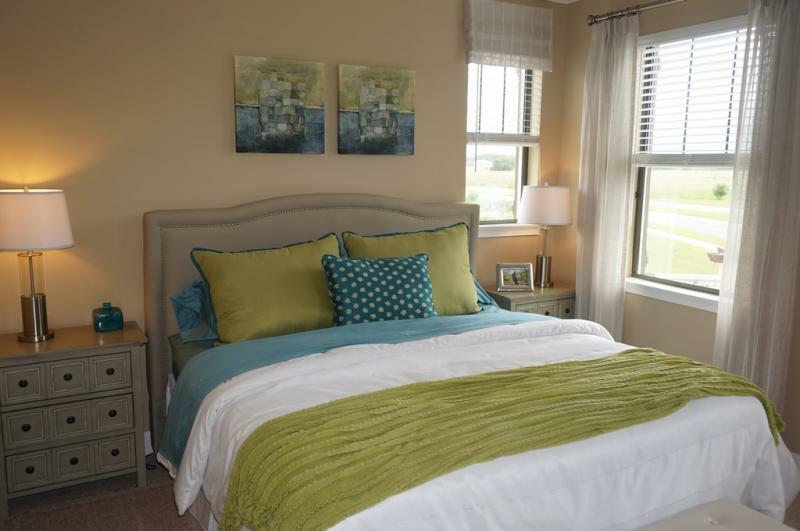 The Fountains at ChampionsGate is precisely the kind of investment to which Button is referring. Offered to the market in partnership with renowned developer Feltrim, the development consists of three and four bedroom luxury villas in Orlando, Florida, just minutes from the city’s leading Walt Disney World Resort attraction. In addition to year round sunshine, carefully landscaped seclusion, a resort-style pool and close proximity to 36 holes of Greg Norman-designed championship level golf course, the development offers investors impressive returns of 14.61% NET on cash invested. Deposits are available from as little as £46,875, with full price villas from £188,900 and US mortgages available. Investors can also benefit from six weeks’ usage of the property without compromising their rental return. With careful tax planning and investment advice based on secure and stable real estate markets, such as that in Orlando, Brookes & Co is confident that it can support its clients to invest successfully in property both in the UK and overseas. The company invites anyone who wishes to know more to join them for their 26 March tax planning seminar in London. For more information, contact Brookes & Co on 01621 875 925 or info@brookesandco.co.uk, or visit www.brookesandco.co.uk. To reserve your place at the seminar, email Tim Harrington at Brookes & Co now: tim@brookesandco.co.uk.